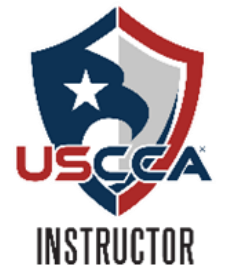 The United States Concealed Carry Association is the premium Firearms Training discipline in concealed carry instruction. The USCCA classes focuses heavily on conflict avoidance. We teach both Kansas and Missouri Concealed Carry courses. Students are taught statutes in Force on Force and will have a through understanding of pertaining laws of your state. Firearm safety. handling, and care for your firearm are taught as well. Live Fire qualification will be at The Bullet Hole one evening the following week for two hours. A Certified USCCA instructor and a NRA Certified Range Safety Officer will supervise this portion of the training If you don't currently own a firearm, please wait until you take this class to understand your needs. Firearms are available for use for this portion of the training. Passport type photos for the CCW application, bound copies of the statues of your state, and a student handbook USCCA Concealed Carry and Home Defense Fundamentals. If you desire to be the best instructor for your students you teach, our instructor training is for you. You will start by purchasing the USCCA Tool Kit You will receive Student workbooks, a portal for the e-learning instruction and instructor downloads, USCCA hat and polo shirt. After passing the e-learning portion, you will attend a two day weekend class. All the hi-def power point slides are included in the downloads. You will be presenting a series of slides to the class This training is very effective in polishing your teaching skills. Training Range Safety Officers includes running safe live fire range of all disciplines. Indoor RSO and outdoor RSO and how to conduct Range Safety Briefing. How to handle emergency procedure, assigning duties and review of range operation procedures. strategies you can use to develop your own safety plan. In just four hours, you will learn about home, automobile, phone, technology, personal safety—and much more.